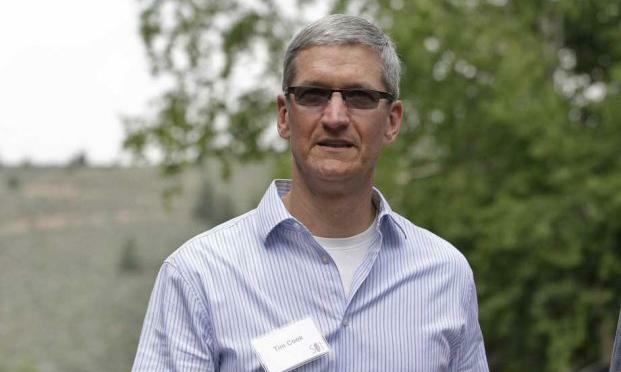 Apple CEO Tim Cook is one of the guests expected to attend the annual Sun Valley conference in Idaho, a gathering known for giving media and technology moguls an opportunity to discuss high profile deals in a closed, private setting. Held by New York-based investment bank Allen & Co., the Sun Valley retreat invites about 300 industry leaders to participate in panels on politics, business and other disciplines over the course of four days, reports Reuters. This will be Cook's second time attending the event after making a surprise appearance last year. In addition to the lectures, a large chunk of time is allotted for attendees to chat with each other over meals and social events. According to the publication, big names in media like Disney CEO Bob Iger, CBS Corp CEO Les Moonves and Rupert Murdoch are expected to make their yearly trip to Idaho. Besides Cook, invited tech leaders include Facebook founder and CEO Mark Zuckerberg, Amazon CEO Jeff Bezos, Google's Sergey Brin, Eric Schmidt and Larry Page, and Netflix CEO Reed Hastings. While the executives' schedules have not been made public, the highlight of this year's meet-up could come from Liberty Media Corp Chairman John Malone, the so-called "King of Cable," who recently re-entered the U.S. market by taking a 28 percent stake in Charter Communications. Analysts see the move as a precursor to an upcoming consolidation in the cable industry, as Malone is reportedly keen on purchasing cable giant Time Warner. With Apple becoming more focused on taking Apple TV from a "beloved hobby" to a full-fledged business initiative, the timing could be right for Cook to strike important deals with cable operators. Allen & Co.'s Sun Valley retreat starts on Tuesday and runs through this Friday.